When the calendar clicked over to January 1, 2018, Sabré Cook had no idea what the year had in store for her. With nothing confirmed on the racing front and already graduated with a Mechanical Engineering degree, the winter blues were getting worse with each passing day. Making a decision that she wanted to continue her racing endeavors, the young female from Colorado was determined to race. Fast forward to today, and Cook has been a very busy driver both inside and outside the car. Putting together a business to business program around her racing platform, Cook was able to pick and choose race programs that suited both her and her partners. 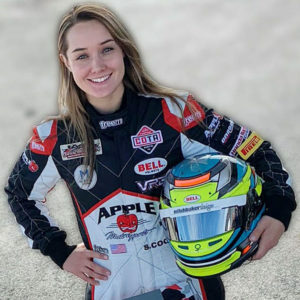 Kicking off the season behind the wheel of an SRF3 car with Alliance Autosport/Apple Motorsports, Cook quickly found herself in the Cooper Tires USF2000 Championship Powered by Mazda when the season commenced in St. Pete. Joining Team BENIK for a handful of races in 2018, the Bell Racing USA Brand Ambassador took it all in stride, learning each step along the way. 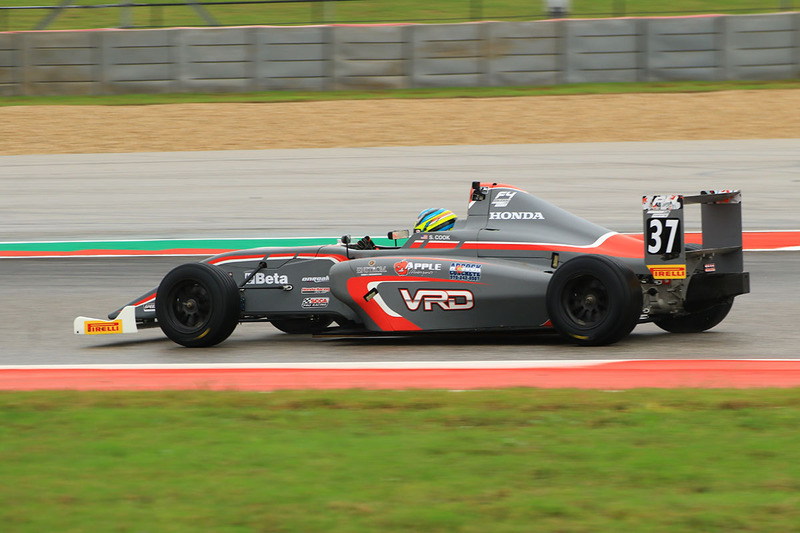 Following her USF2000 foray, Cook debuted in the F4 United States Championship Powered by Honda with Velocity Race Development. Competing at New Jersey Motorsports Park and then the Circuit of the Americas alongside the Formula One World Championship, she garnered the Hard Charger of the Race Award gaining more positions than any other driver during the weekend’s wheel-to-wheel competition. Cook’s 2018 season did not stop there. The young and talented female competed at the Devil in the Dark 12-hour endurance event behind the wheel of a Mazda Miata with Rosmar Racing, as well as tested a Formula 1600 and Formula Atlantic with K-Hill Motorsports. Most recently, Cook had the opportunity to test a 2009 Porsche GT3 Cup car with Apple Motorsports. When she wasn’t behind the wheel of a race car, she could usually be found pounding laps at the Grand Junction Motor Speedway aboard her 125cc shifter kart with Energy Kart USA. However, racing wasn’t the main highlight of the 2018 season for Sabré Cook as she took top honors in the Infiniti Engineering Academy in her second attempt at the program. As a Mechanical Engineering graduate from the Colorado School of Mines, Cook was announced as the Infiniti Engineering Academy 2018 USA winner by Renault F1 driver Nico Hulkenberg in the pit lane at the Circuit of the Americas Formula One event after a series of testing evaluations. Cook will begin her engineering program with Renault Sport F1 and Infiniti Technical Center in the United Kingdom in January. Sabré extends a huge thank you to Enstrom Candies, Alpine Bank, Adcock Concrete, Apple Motorsports, COTA Karting, Aspen Equity Group, Bell Racing USA, Mesa Fitness and the Grand Junction Motor Speedway.